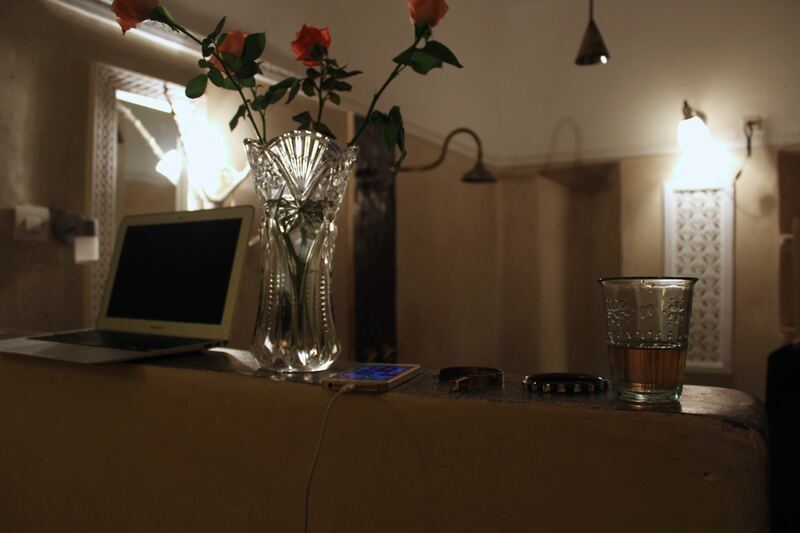 Chambres d’Amis – Sleeping at the best riad in Marrakech. The amount of luxury hotels in Marrakech is staggeringly high. Add to this countless riads where you can stay and you got yourself an almost endless array of options when it comes to accommodation and the question: where to stay in Marrakech? While I consider myself a bit of a truffle pig when it comes to hotels all these options were daunting, even to me, when I went to Morocco last August. Luckily I came across my friend’s Kim blog in Cape Town who had written about Chambres d’Amis, a riad in Marrakech, and highly recommended it. I inquired a bit further and with the best prices I could find it was really I no-brainer to try it. Arriving at the maze that is the Marrakech medina you will be glad to have a porter who knows what he is doing and where he is going, so I was glad to have a pick-up organized and followed him with wide eyes as one does when crossing the Jemaa El Fna. Chambres d’Amis is tucked away in a side alley of a side alley about a three minute walk away from the square and with that it has its first awesome feature: location, location, location. You are smack bang in the middle of everything, but somehow away – the best location for a Marrakech riad you can ask for. 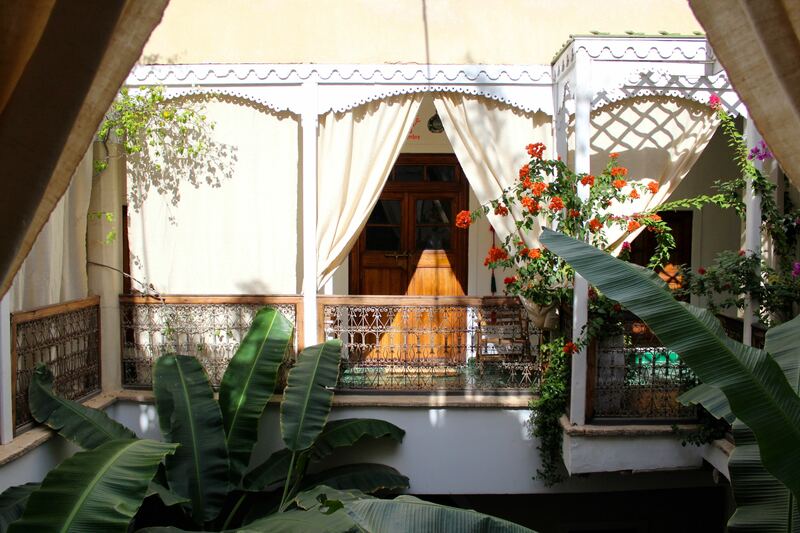 In typical riad fashion the outside is unobtrusive and you need to know what you are looking for in order to find it. 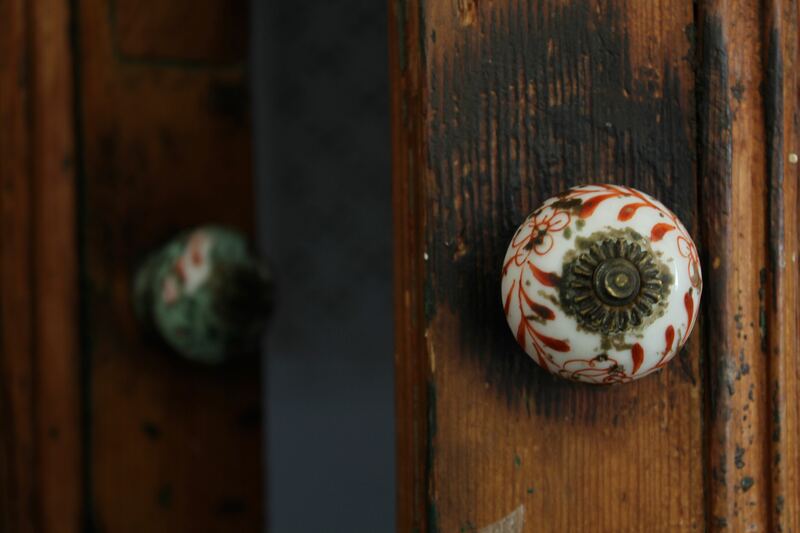 But step inside and you are in a world of whitewashed walls, green foliage, and an eclectic mix of kitsch, Moroccan crafts, and cool design. Simple, small rooms feature little pops of color in form of pillows, buddhas or roses as you will find everywhere in Morocco. Definitely the best feature of any room is the stone basin bathtub, perfect for a mini hammam and a good soak. Anyone who has wandered the streets of Marrakech knows that you will need it. My first time back in the city were overwhelming to say the least, so with my airport pick-up I also booked myself a dinner on the roof terrace for the first night. Perfect place to soak up magical Marrakech vibes including the calls to prayer, hip hop music, and kids shouting from the souks while still sitting in a little oasis of calm. If that wasn’t good enough reason the food definitely is. The rule says that you will find the best food at someone’s home or in a riad in Marrakech and dinner at Chambres d’Amis was no exception. Mind you, I was told that there is mayonnaise in the cucumber yoghurt dip so no surprise that it was awesome. Doesn’t everything taste better with mayonnaise? While there is no denying that those luxury hotels in Marrakech have a certain appeal even in their anonymity sometimes all you want is a place where people know your name and don’t mind if you put the feet up on the couch and order yet another bottle of wine. Something I would of course totally never do, but it’s nice to have the option after a dinner. Ank, the Belgian owner of Chambres d’Amis, has managed to do the impossible in finding staff that is equally able as they are nice. They go more than the extra mile to make sure you are comfortable and will help you with any requests from getting taxis to hammam recommendations. Best of all? 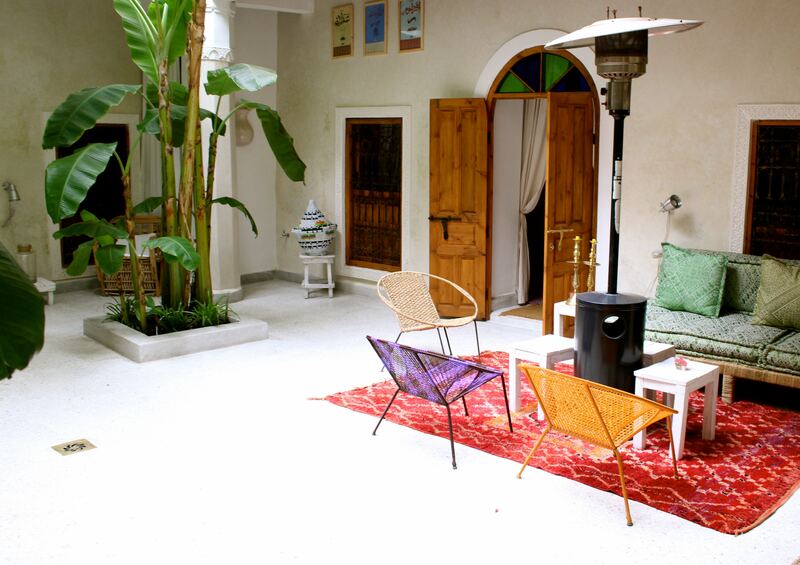 It is also one of the best budget riads in Marrakech – find your prices here. The only downside is that there are no resident cats at Chambres d’Amis, a fact my allergy plagued friend was grateful for, and I got over once I made friends with their tortoises. Chambres d’Amis kindly hosted me for a complimentary night, but I have stayed there many nights since. Read more: The Ultimate Guide to your Marrakech Holidays. This place looks magical! I love that it looks both luxurious & stylish while being affordable. I’ve always wanted to visited North Africa and now I’m ready to book a ticket immediately. Oh Lauren, do it! 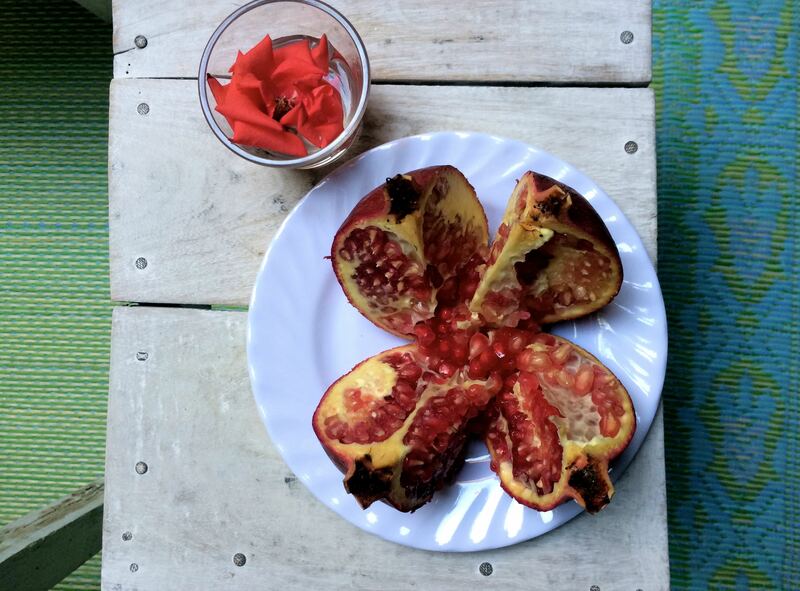 It is such a wonderful place – the food is also amazing – and Morocco is magical!